Pest inspections: When you suspect an infestation, the first thing our licensed technicians will do is conduct a thorough pest inspection. By searching out potential breeding and nesting grounds for pests, we can eliminate the problem at the source and prevent future pest invasions. Out pest inspections in Rochester, NH, are affordable and quick. 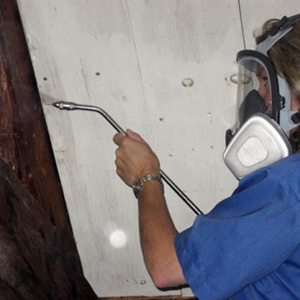 Pest removal: Once we identify your particular infestation, we will take swift measures to eliminate the problem. Whether you are suffering from a rodent problem that requires trapping or you have an insect issue in need of extermination, we will eliminate your pest problem. 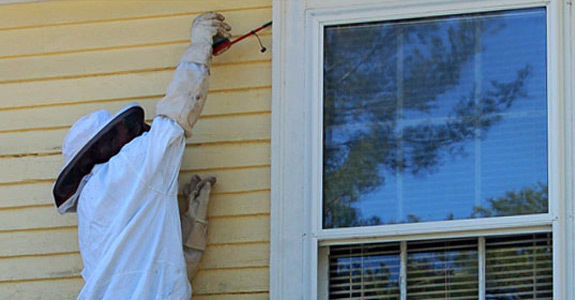 Using only the safest, environmentally friendly products, we remove infestations while keeping you and your family safe. Do I have to leave my house? No. During the average pest control, there is no need to leave your home. Does it smell or stain? The products we use are E.P.A. approved and designed to be used inside your home. Some customers report a slight odor, but the vast majority says they smell nothing at all. Staining does not occur. Will it harm my children or pets? No. Just follow the technician’s instructions. Children and pets should be kept away from the treated areas until they are dry. There is something making noises in my attic. What do I do? There are a variety of critters that could be the cause. One of our trained technicians can evaluate your situation and identify the animal and recommend the right treatment method. What does it cost? Price is based on the size of your home or property and the type of pest. For the best in pest prevention, call Dependable Pest Solutions at (603) 948-2039 or (603) 436-1181 and find out why our customers turn to us when they need an experienced exterminator. We are now offering Tap Insulation which insulates your home and kills bugs at the same time! This is permanent pest control and superior insulation all in one! The revolutionary green insulation is for new and existing homes or buildings; created with recycled paper that incorporates a borate-based pest control into the product! Not only does Tap Insulation out-perform traditional insulation, it’s pest control qualities will help reduce and eliminate ants, silverfish, termites, roaches, etc. Manage household pests and save energy with Tap insulation!